A stunning, simpatico ensemble, Heads of State features Bartz's regal playing. 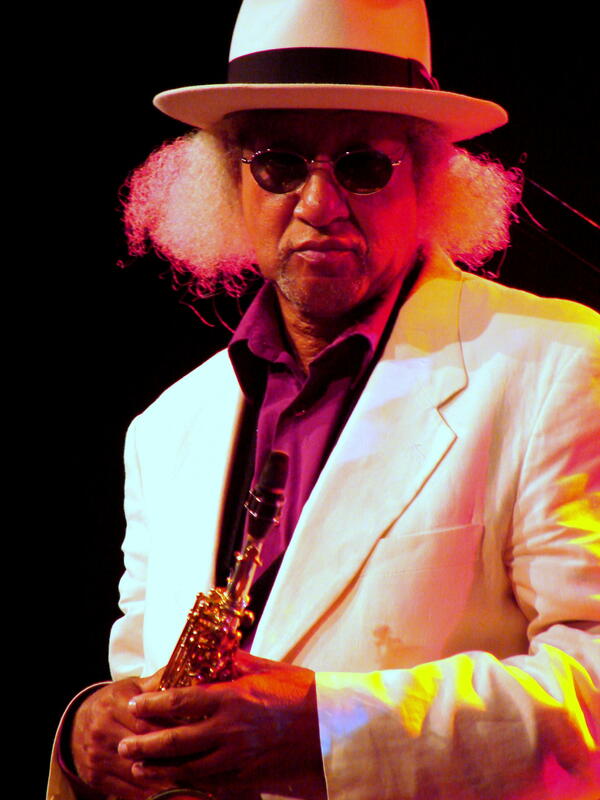 Since his debut stint with Art Blakey and the Jazz Messengers, nearly six decades ago, the fine arts of Bartz have been exhibited with a host of jazz immortals, including Miles Davis, Charles Mingus, Max Roach, and Jackie McLean, even earning him a Grammy in 2005 for his playing on McCoy Tyner’s album, Illuminations. Illuminations abound not only on the more than 200 albums the saxophonist/composer has graced as a guest artist, but also on his more than 40 albums as a leader. Most recently, Bartz performed beautifully on vibraphonist/composer Jay Hoggard’s outstanding, new album, Harlem Hieroglyphs, a masterly mix of memoir, cultural consciousness and classy homage to jazz. Bartz’s well-tempered blend of cool elegance and white-hot heat is also amply illustrated on a 2015 Smoke Sessions Records release called Search for Peace featuring a most aptly named band, Heads of State. A stunning, simpatico ensemble, Heads of State features Bartz’s regal playing with a premier rhythm section featuring fellow potentates, pianist Larry Willis, bassist Buster Williams, and drummer Al Foster. Bartz stretches out on two originals, his puckish, Monkish "Uncle Bubba," and a modal, up-tempo romp through "Soulstice," along with a diverse menu featuring pieces by such great composers as John Coltrane, McCoy Tyner, Billy Strayhorn, and Benny Carter, with a side dish serving of two classic ballads. As the opening act, The Greater Hartford Academy of the Arts Jazz Ensemble performs at 7:00 pm. Tickets: general admission, $15.00 in advance; $20.00 at the door; $10.00 seniors; $5.00 students; HJS members $10.00 in advance, $15.00 at the door. Available at the Polish National Home, Integrity ‘n Music and via PayPal at hartfordjazzsociety.com. As part of HJS’s commitment to jazz education, there will be a free, pre-concert music workshop with Bartz from 4:30 to 6:00 pm. No registration required. 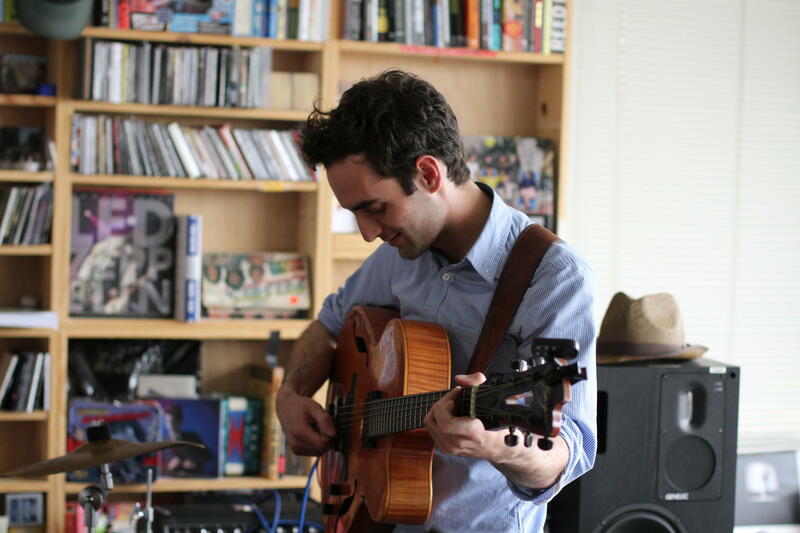 Julian Lage, the brilliant acoustic guitarist, has followed up his mesmerizing solo guitar album, World’s Fair, with his first recorded venture on electric guitar, a bright, briskly charming, witty, whimsical winner called Arclight (Mack Avenue Records). Plugged-in with his Fender Telecaster, Lage and his trio mates, double bassist Scott Colley and drummer Kenny Wollesen, are celebrating the addictively breezy, imaginatively diverse, technically impressive but immediately accessible CD on a promo tour that sets down this weekend with back-to-back appearances in Connecticut and Massachusetts. Lage and his collaborators sample the savory CD’s wares of originals and rarely heard period pieces on Friday, May 6, at 7:45 pm at StageOne, 70 Sanford Street, Fairfield. Information: (203) 259-1036. Using his spellcasting Telecaster as a kind of plugged-in magical wand, Lage and his partners in prestidigitation on Saturday, May 7, at 7:00 pm unveil their upbeat message at the Parlor Room, 32 Masonic Street, Northampton. Information: (413) 923-2800. Lage’s expansive, expressive sweep is inspired, he said, by his love for songs from the early to mid-20th century, tunes like "I’ll Be Seeing You" and "Harlem Blues." Another inspirational source for Lage’s legerdemain is his passion for the Keith Jarrett American Quartet period, an improvisational era, he said, with a rich connection to songs and folk music. Rather amazingly in today’s “Age of Bloviation,” all 11 tracks on Arclight, his nearly 37-minute, extremely compact CD, range from little more than two to four minutes apiece. His succinct, compelling craftsmanship packs plenty of feeling and narrative drama into each hand-crafted gem ensconced in jewel box-like, tight time frames, clearly demonstrating that brevity is the soul of wit. Lage’s well-wrought miniaturist art ranges in emotion from celebratory to melancholy, from a cheery, airborne vintage tune called "Persian Rug," which actually flies here like a magic carpet, to "Nocturne," another obscure oldie illuminated with piquant picking evoking a heartfelt midnight mood. His Telecaster coasts cosmically through many stylistic spheres and realms of feeling in this transporting, jaunty journey fueled by eclectic and electric energy. Paul Brown, a noted bassist who’s most celebrated as the founder and longtime producer of the venerable Monday Night Jazz Series in Hartford’s Bushnell Park, will be honored at an admission-free tribute concert on Saturday, May 7, at 2:00 pm at The Avon Public Library, 281 Country Club Road. A driving, invaluable force for decades in keeping jazz alive in Hartford even through the worst of times, Brown was also the founder of the Greater Hartford Festival of Jazz, another one of the capital city’s major outdoor cultural events every summer. The first-rate tribute band features Norman Gage, baritone saxophone; Kenny Reed, trumpet; Alex Nakhimovsky, piano; Norman Johnson, guitar; James Daggs, bass; and Michael Scott, drums. A musical caravan from Minas Gerais, Brazil, opens the 10th annual Samba Fest, a free outdoor celebration of Brazilian music and culture running, rain or shine, on Saturday, May 7, from 11:00 am to 6:00 pm at Hartford’s Mortensen Riverfront Plaza. In a free sneak preview of Saturday’s riverfront revelry, two Brazilian bands perform on Thursday, May 5, at noon at the Hartford Public Library. 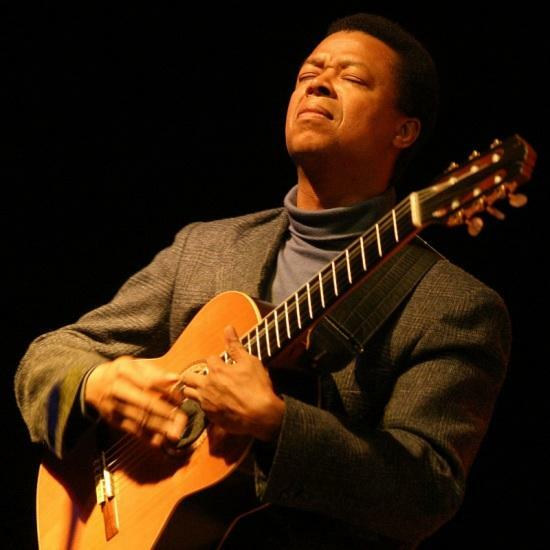 The carnival-like, musical fare features Latin Grammy Award-winning guitarist Gilvan de Oliveira with his trio, and the Afro-Brazilian pop band Banda Brother Camarada, led by guitarist/vocalist Berico. Samba Fest’s jubilant lineup includes Ginga Brasileira, Sambeleza, Sambusa Band, Grupo Ghettos, Conjunto Antillano, featuring the noted Latin jazz trumpeter Ray Gonzalez; Hartford Steel Symphony, Hartford Hot Several Brass Band, Trinity Samba Ensemble and Trinity Steel. Created and produced by Eric Galm, an associate professor of music and ethnomusicology at Trinity College, and presented by Trinity in partnership with Riverfront Recapture, Samba Fest will be broadcast live on Trinity’s WRTC, 89.3 FM. Information: sambafest.com and (860) 297-2199.